Four Georgia Bulldogs have been named to the 2013 All-SEC Coaches Team, the SEC announced today. Senior tight end Arthur Lynch, junior linebacker Ramik Wilson, and sophomore kicker Marshall Morgan were each named to the First Team. Sophomore linebacker Jordan Jenkins was named to the Second Team. 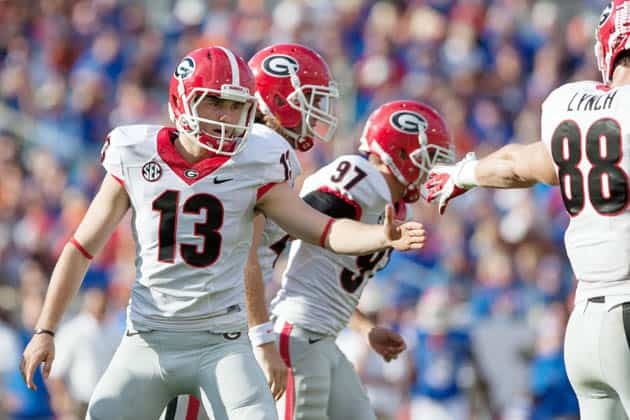 Quarterback Aaron Murray and running back Todd Gurley did not make either the first or second team. Instead, quarterbacks Johnny Manziel and A.J. McCarron and running backs Tre Mason, T.J. Yeldon, Mike Davis, and Jeremy Hill were selected. The full 2013 Coaches’ All-SEC team and individual awards are listed below.